Get ready for another hot and humid day Monday in South Florida, as temperatures near 90. 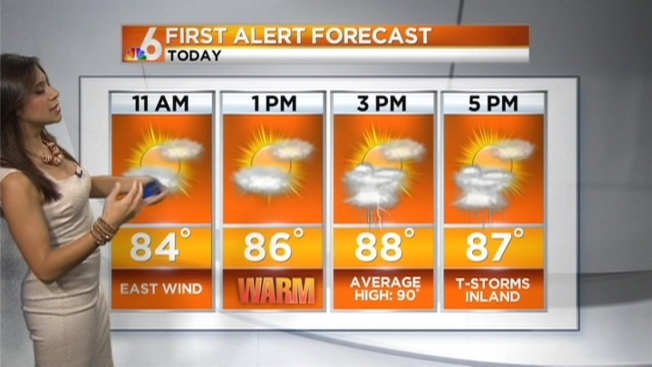 A few storms were popping up Monday morning in Miami-Dade and Broward. Overall, we'll see partly sunny skies with a chance for more storms in the afternoon. The chance for storms will continue Tuesday as the warming trend also continues. Highs will again near 90.